From July 18-28 I have been lucky enough to travel to La Paz, Mexico for some research with a professor from my university. He studies fungiid corals in Galapagos as well as in the Gulf of California and I was able to help him with this research. Unfortunately Jay could not join me on this trip. I went and did a little bit of research on sea pens, or Pennatulids. They are Cnidarians (meaning they are related to corals and jelly fish) that live at the bottom of the ocean. 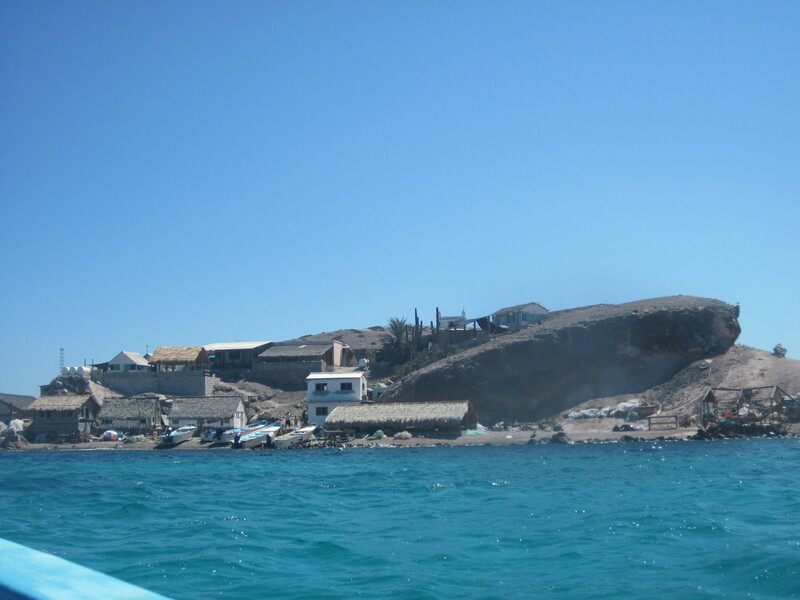 The specific community I was studying is about 35 feet underwater, a three hour boat ride from the mainland south of a little fishing community called El Pardito. There are about 25 permanent residents to the island with no running water and very little electricity from solar panels. Fresh water is brought in on fishing boats and is very limited. To flush the toilet I had to hike down a hill (which is more like a cliff with a slight incline), fill a bucket up with water, hike back up the hill, and pour the bucket of water down the toilet to ‘flush’ the toilet. The pipe from the toilet went straight to the ocean only a few yards away down the hill. I spent 4 days on this island. 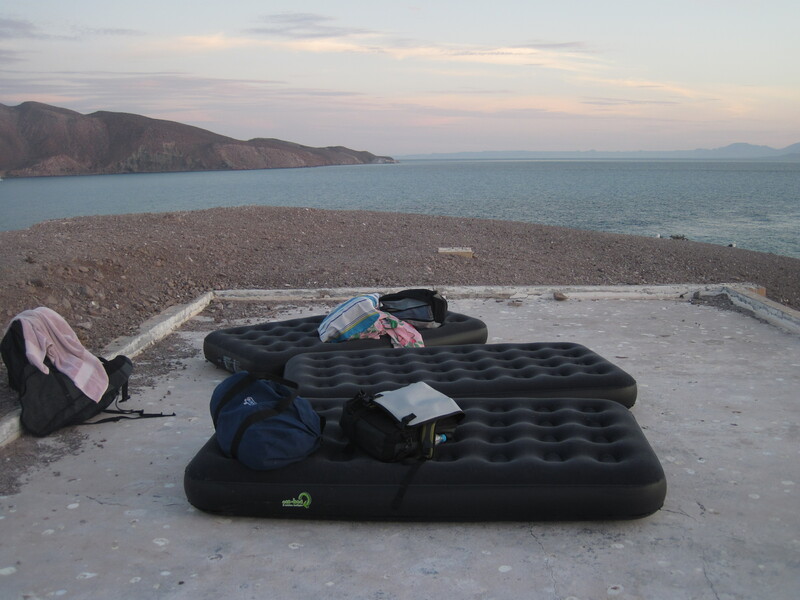 On an air mattress, sleeping outside under the stars, and without a proper shower. A shower consisted of a solar shower which took about two minutes so we could rinse the salt off. All in all, sleeping outside was wonderful. I loved being able to open my eyes at night and see the Milky Way above me. No city lights, no loud traffic, nothing. Just the waves pounding the shore and a few bats chirping and flying overhead. 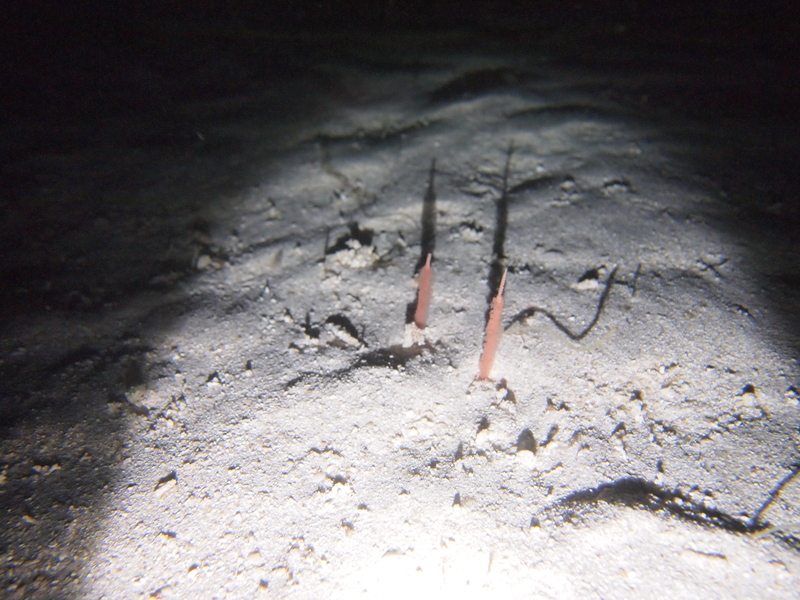 Although there was a lot of research diving involved, the best dive by far was to check for bioluminescence. As soon as we jumped off the boat, the water began glowing with Noctaluca. It truly is indescribable. Magic is the best word I can put to it. 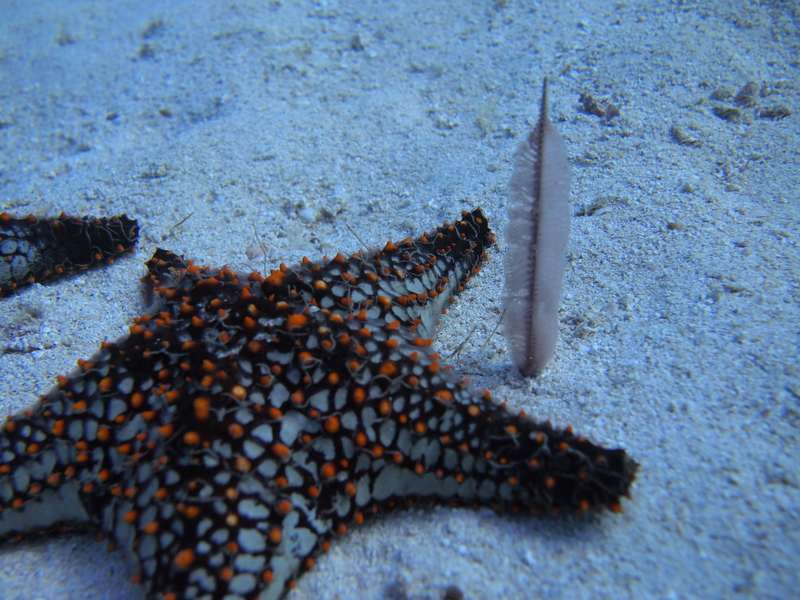 No flashlights, going down the anchor line, it was like swimming through stars. As the water pushed past us we left behind a trail of blue glowing specs. I wasnt able to get this on video so I found one on YouTube. Besides from that, the sea pens do produce light. 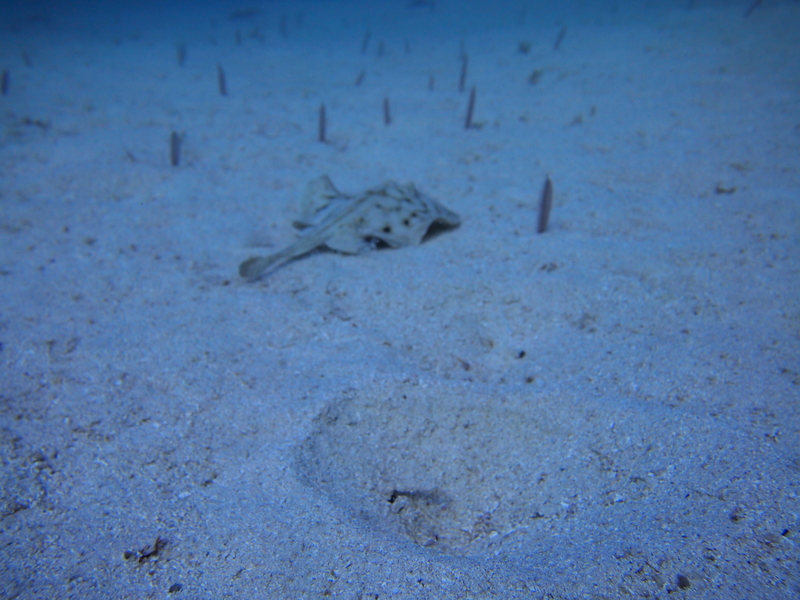 If they are pinched they shoot a current of blue green light up their body and quickly attempt to retract into the sand. It was magical being able to see such a beautiful phenomenon. Some things are simply overlooked because of our fear to trust our eyes and dive in the dark. If you ever get a chance to do this, try it! It’s wonderful! Sure it can get a little scary, but that’s why you have a light on you at all times, just in case. The people of La Paz, El Pardito, Loreto, and especially the students at UABCS were all very helpful and kind in helping us with this research.